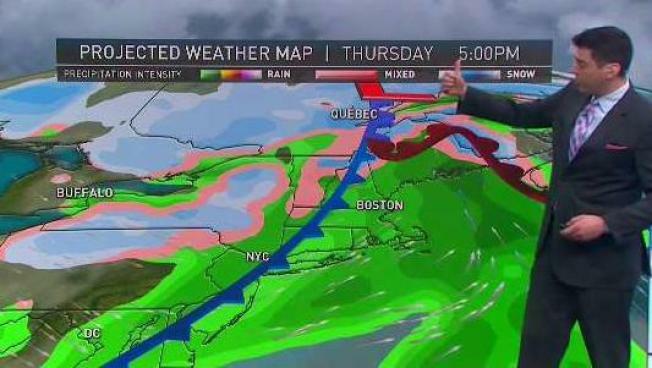 A few subtle weather features are in control around New England the first part of this week. Mostly, it’s high pressure from Canada with cool and dry air. However, there are a couple of weak troughs of low pressure producing a few snow showers in the mountains Monday morning. This will lead to somewhat colder air for Tuesday. For most of us, though, Monday and Tuesday are partly to mostly sunny with a high temperature in the upper 30s to mid-40s. Wind is relatively light and it could be a bit cooler near the coast due to water temperature in the 30s. The vernal equinox at 5:58 p.m. Wednesday, marks the beginning of celestial spring and coincides with the full 'worm' moon this month. It's a day with plenty of sunshine and it should be a little warmer with a high temperature near 50 degrees. Thursday features a cold front moving at us from Canada, and a warm front coming at us from Pennsylvania. Depending on how they interact, we may end up with some precipitation Thursday and Friday. The early call is for a few rain showers Thursday, except snow in the higher elevations. And then perhaps rain showers changing to snow showers all the way to the coast Thursday night and Friday. The temperature falls from a high temperature near 50 degrees early Thursday to the upper 30s by later Friday. The weekend outlook is for cold and dry weather to start, then a warming trend. Perhaps a more significant storm threat is here early next week. Stay ahead of it with our First Alert 10-Day Forecast.